Country to Country, age to age, people everywhere go nuts for the healing benefits of a hot tub. In fact, it is estimated that there are over 25 million hot tubs worldwide. At any given time there are approximately 18,000 people enjoying a relaxing soak, which is really quite impressive. To celebrate the rich history of the hot tub, we have gone around the world gathering some fun hot tub facts that show just how much people enjoy hot tubbing. Let’s start our journey in Egypt where you will find the first written accounts of hot tubs being used. Of course, these hot tubs were very primitive. Typically they used hot springs for their soaks. If hot springs weren’t close by, they used holes that were filled with water. Hot stones were then added to make the water nice and hot. In 600 BC, King Phraortes experienced one of the first official hot tubs when he demanded that a granite tub be built for him to soak in. Fast forward to AD 50, the Romans discovered hot springs in what is now known as Bath, England. They promptly built a temple there and dedicated it to the God and Goddess of healing. Since that time people have continually visited the hot springs of Bath for their healing benefits. The geographical location of Japan makes it a literal hot spot for hot tubbing. All of the volcanic activity in the region created numerous hot springs. Soaking in them was widely popular in the Buddhist culture because they thought these hot springs brought good luck to those who soaked in them. In ancient Rome, public bath houses were a popular way for Romans to enjoy a soak along with food and wine. The benefits and enjoyment were something that crossed status lines and were widely used by Romans from every walk of life. In a culture that was driven by social status, it was a huge deal that everyone was allowed to enjoy these bath houses. We will end our journey around the world with an international fun fact. 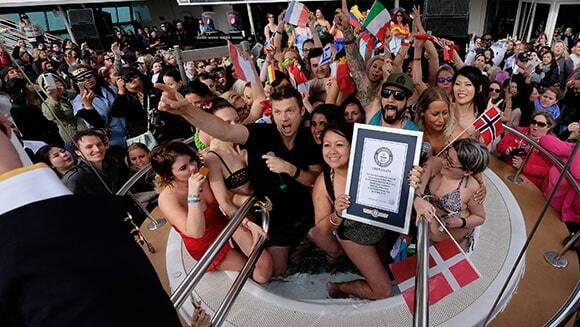 In November of 2012, 26 people from 26 different countries all came together in one hot tub to set a new Guinesses World Record for most countries represented in a single hot tub. Not only did this set a new record, but it also goes to show that people all over the world enjoy the relaxing, healing benefits of a hot tub. If you are ready to take part in this age old tradition of healing, then come see us at Aqua Pools. 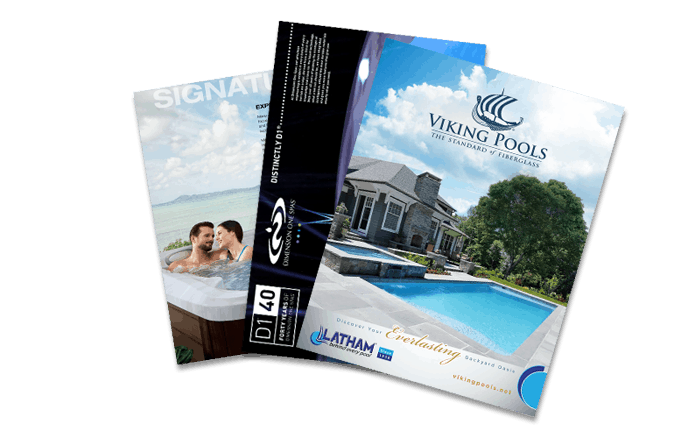 We have a huge selection of hot tubs so you can find the perfect hot tub to kick off a legacy of hot tubbers in your family.